Half of the Northern Forest Canoe Trail is in Maine. As the trail wends its way northeast through Maine’s Western Mountain Region, toward the Allagash, and into the St. John River Valley, it traverses some truly stunning country. Mountains and ponds, rivers and streams, and a healthy dose of wildlife. 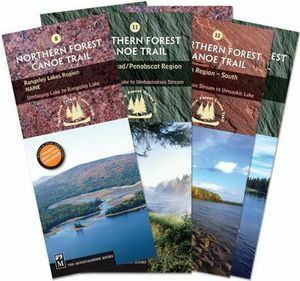 Plan one long haul or a trip a year with these six sectional maps covering the NFCT in the state of Maine.